The Student Recreation Rec Fest is an event showcasing the different programs and opportunities for recreation on campus. Events include intramural sports, group exercise, club sports, climbing wall, and many more! No registration is required. Check it out with your friends or make new ones as you play! The Student Recreation and Wellness Center celebrated its 10 Year Anniversary Rec Fest in the Fall of 2017. In celebration numerous former staff and students were invited back to share in this anniversary. Click here to see all the photos from the SRWC 10 Year Anniversary. 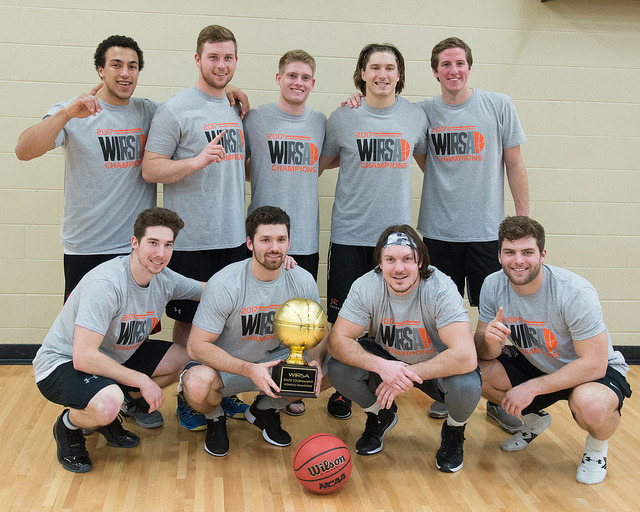 Student Recreation hosted the 7th Annual WIRSA State Basketball Tournament. 18 men’s and women’s teams competed from 9 different universities and colleges around the state. Click here to see all the photos from WIRSA Basketball 2017! Click here to see all the photos from the Shamrock Shuffle 2017! Click here to view results from the 2014 Shamrock Shuffle.